When helping others find their Confederate ancestors, we typically start at one of three points. Scroll down to whichever point best fits your condition. I don't know my family tree or my ancestor's names. How do I discover my ancestors? I have a name of an ancestor that we think fought for the Confederacy. How do I find out for sure whether he fought and what unit he was with? I have the name and the unit of one of my ancestors. How do I find out more about him or his unit? How do I discover my ancestors? Fortunately, many family trees are already completed and online. It is quite likely that a portion of your family tree has already been researched. We recommend that you start by filling out a family tree. Look for information in family Bibles. Talk with family members. You may want to use the Family Pedigree chart to record what you find. Typically, there will be parts of your tree that are well known and parts that are not. Once you have listed as much of your family tree as you can, it is time to research to fill in any blanks. You can check online to see if others have completed a portion of your family tree. One free site is Rootsweb which has family trees. Another site that is more comprehensive is Ancestry.com. This site includes documentation such as birth records and death certificates to verify the accuracy of your tree, however it charges a fee. The Greenville Library has a subscription to Ancestry.com and you can use it there for free. If you would like more information about genealogy or would like to contact a genealogist to assist you, contact the South Carolina Genealogical Society. How do I find out more about him, such as whether he fought and what unit he was with? If you have men in your family tree who were living in America and were born between 1820 and 1848 it is quite likely that they served in the War for Southern Independence. Find your Civil War soldier in this system. Look up battle histories and national Civil War parks. Select "Confederate Pension Applications 1919-1926" at the first box. Enter your ancestor's name in the next box. View your actual ancestor's SC Confederate pension application - and download it to your computer for free. In addition, there are databases at the Greenville library in the South Carolina room that are not available online. 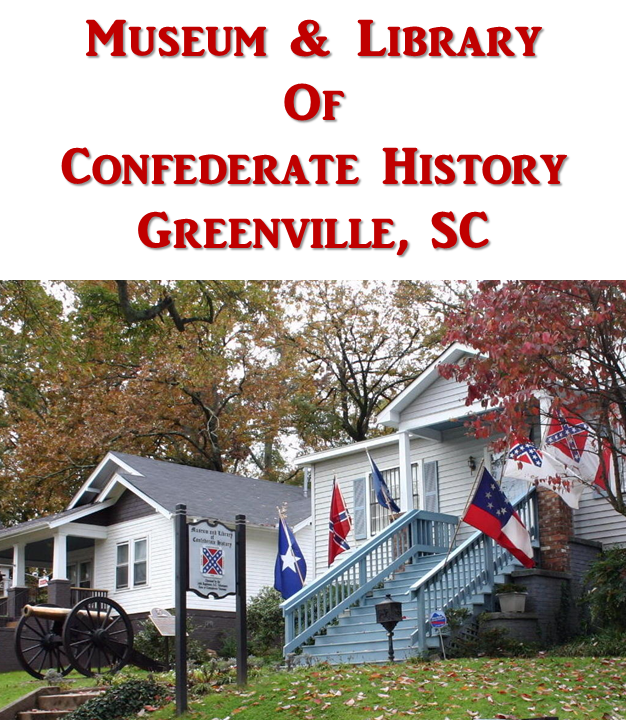 Complete SC, NC and GA Confederate service records on microfilm. Genealogical and historical resources include books, microfilms, microfiche, CD-ROMs, photographs, newspapers, and journals. How do I find out more about his unit? There are many unit histories online. 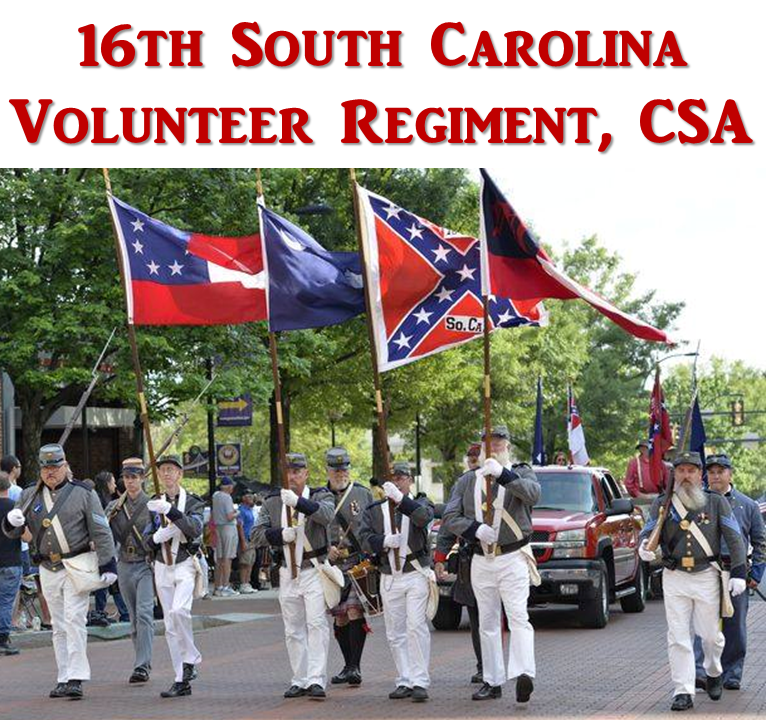 For instance, we have a brief history of the 16th SC Volunteer Infantry Regiment on this site. Here are some links to get you started. The library contains extensive unit histories and documentation from the War. The museum is home to numerous artifacts and displays portraying the war and home life in the South during the 1860s.